Bollard Signs are a 3-sided board which stands up with the longest edge being vertical. Typically, they wrap around a pole or post, so wind cannot blow it away. This product is ultra-portable and can be used time and time again thanks to its interlocking nature. We use 3mm corflute for this product as it gives outdoor durability but still has the right properties to be able to crease and interlock. 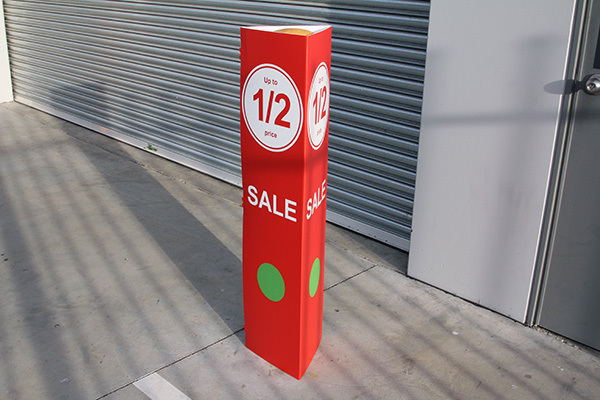 Please see the link below to get pricing on Bollard Signs for your customers. What Sized Bollard Signs Do You Offer? We offer face sizes of 270mm x 1000mm and 300mm x 1200mm. Please see our product specifications for templates for this product. What Size Pole Are These Designed For? These are designed for poles for 150mm and below (270mm face) and 166mm (300mm face). Are These A Permanent Solution? 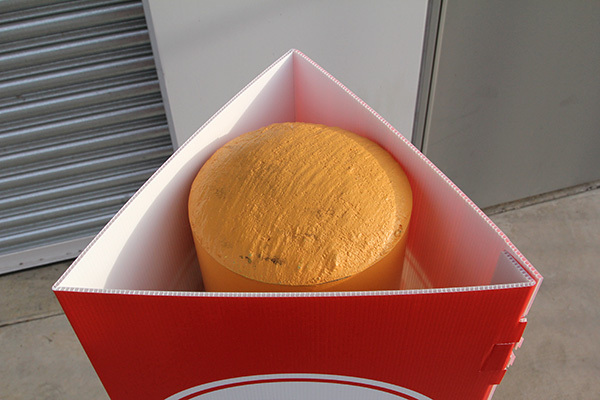 Our flaps are very strong which interlink to assemble the bollard. With proper care and installation, the locking mechanism will not detach without force. 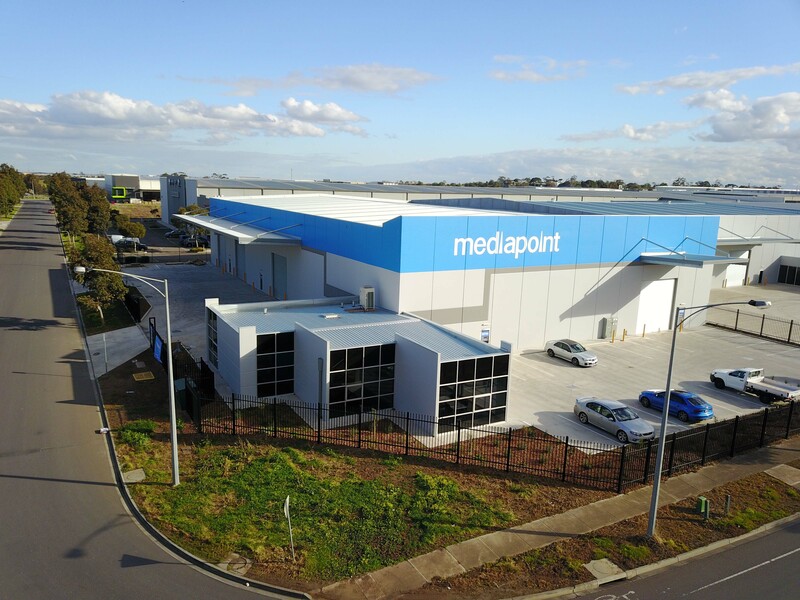 Our ink is a Matt UV and we do not offer any coating services. So, the ink is prone to abrasion and can be scratched. Please use our templates from the Artwork Specification tab. Please ensure you are keeping the layers in the file and putting your artwork on the artwork layer. Are Custom Sizes Bollard Signs An Option? 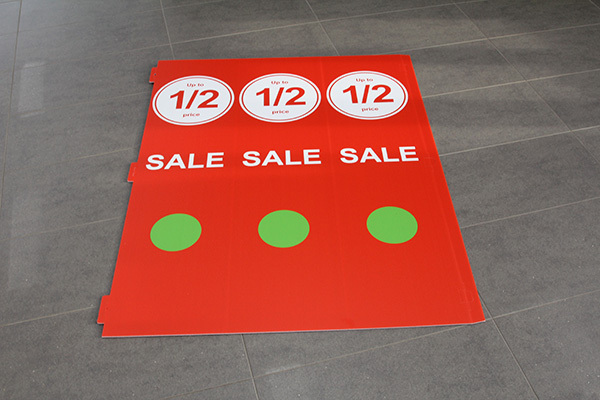 We only offer Bollard Signs via our templates. We do not offer custom sizes. The reason for this is we have standardised all the steps required in this product to make it work from prepress right through to packaging.